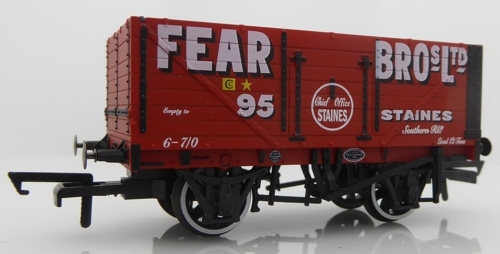 These 7 Plank Wagons are based on the standard 12 Ton Mineral wagon and was we believe the most numerous design of coal wagons built in the UK after 1923. Designed to RCH specifications (Railway Clearing House) these wagons had a universal length of 16'6" with a width of 8'0" and wheelbase of 9'0". The wagons were of a simple design and employed standard RCH fittings throughout and were originally built as the Oxford Rail model depicts with seven side planks, making an overall body height of 4' 4". The new Oxford Rail Standard RCH 12 Ton Mineral wagon boasts finely engraved body with underframe detail plus NEM couplings as standard.